It's cold, wet, rainy and quite miserable here. I've got a cold, Abi has a cold and Erin also has a cold. Other than a little trip this morning to Bunnings we are cooped up and staying indoors! I've been having a little play around working out an invite for Abi's first birthday. And I can't decide which one to choose! Brown Recycled paper? Which design? Poor baby. So sick. This is how she looked this morning. I think she it teething too. So because w are staying in I have popped a roast in the oven to slow cook. Perfect for this horrible, miserable, rainy, being stuck at home sick day. Oh, sick babies make my heart break:( I hope they both get well soon! I LOVE the recycles paper with the middle design! They're all gorgeous on the brown any which way! Very cute invites! My vote goes to the middle one on brown or the left one on white. Hope you all get well soon! I vote middle brown as well. That roast looks amazing. Hope the colds go away soon. Love the invites! Nice work! They're lovely, even though I'm usually partial to brown paper I love the white on the left in these. I love the left design best, it's a toss up between white and brown paper though. Oh poor sick Abi! I hope she's feeling better soon. Mmm... that roast looks fabulous! I can just imagine the finished result. Perfect for the miserable weather lately! We are all a little better today. 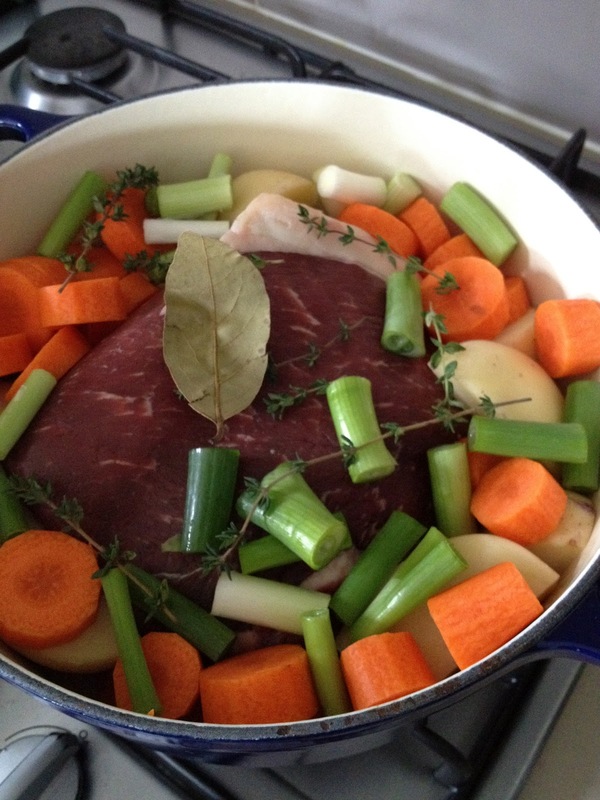 A little Vicks baby chest rub, Panadol and Neurofen all round and a yummy home grown (by my dad) beef last night too! A TV in the bedroom that FINALLY works! (was supposed to be sorted when Abi was a NB for all those night feeds...) is also helping for snuggles and keeping warm! ^ Made them myself Anonymous!